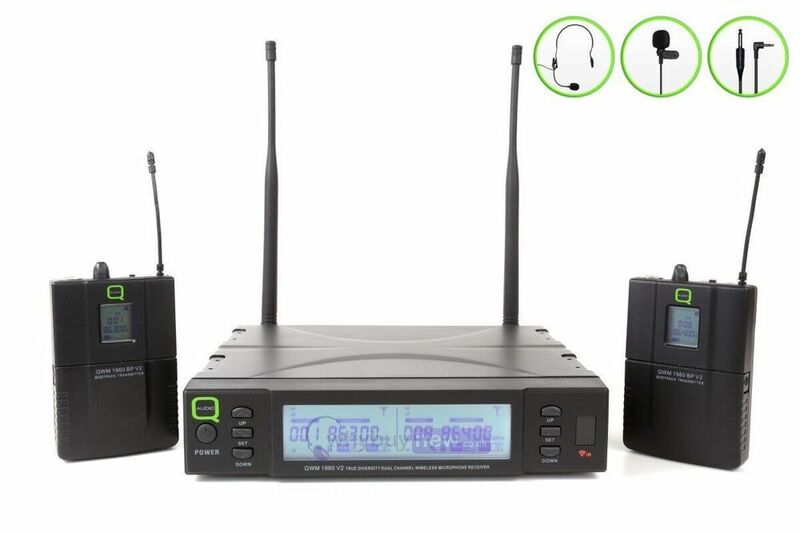 The Q-Audio QWM 1960 V2 BP is a superb quality, true diversity, wireless microphone system with two bodypack transmitters and multi-channel UHF PLL (Phase Locked Loop) receiver. 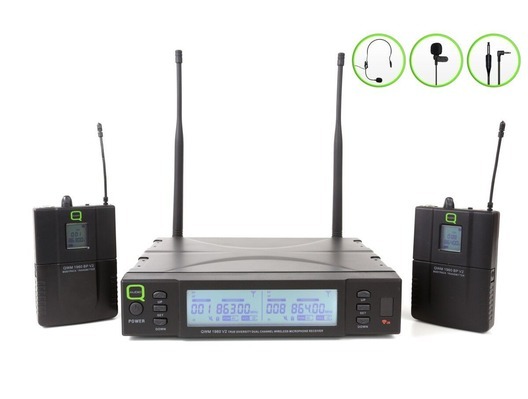 This multi-use system also includes 2 x headset microphones, 2 x lavalier/lapel microphones and 2 x guitar/instruments leads. 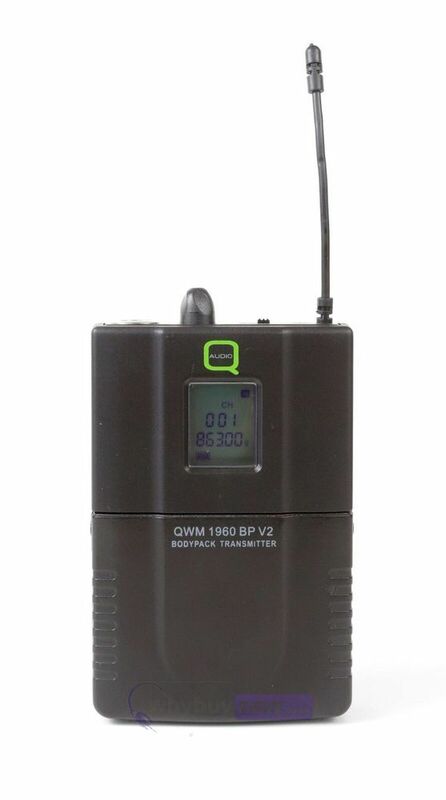 The QWM 1960's true diversity technology reduces the chance of dropouts (loss of signal) from its dual antenna receiver. 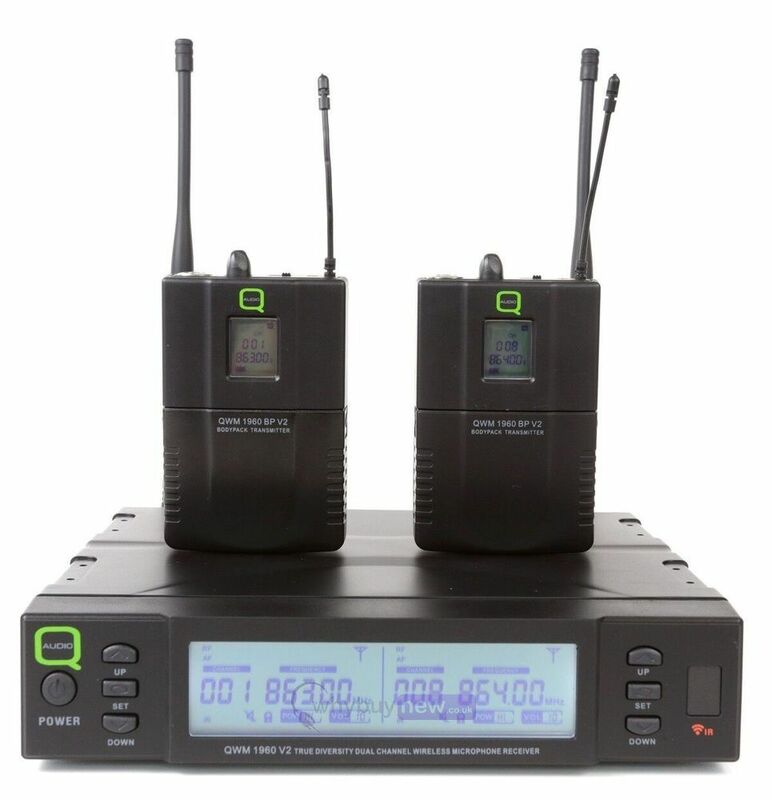 This Q-Audo QWM 1960 microphone system is ideal for DJs, musicians, dance instructors, public speakers and more. Channel 38 (606-614 MHz) - requires a paid licence for use. 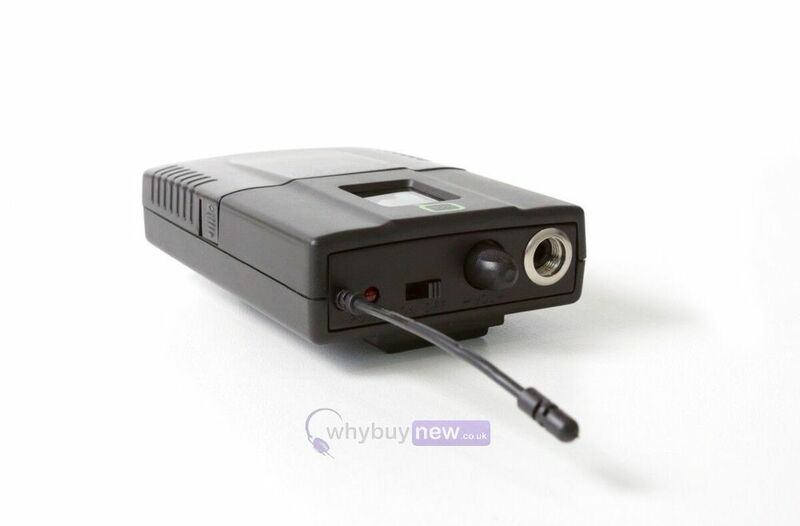 Channel 70 (863-865 MHz) - free channel, no licence required.